This answers a few questions. It will be a 2D animated series, not CGI. The artwork has a bit of a resemblance to the current series of (well done) Mickey Mouse shorts. I wonder if there’ll be one possible cue from the short-lived 90s series “Quack Pack” (where the nephews got different looks/wardrobes)? 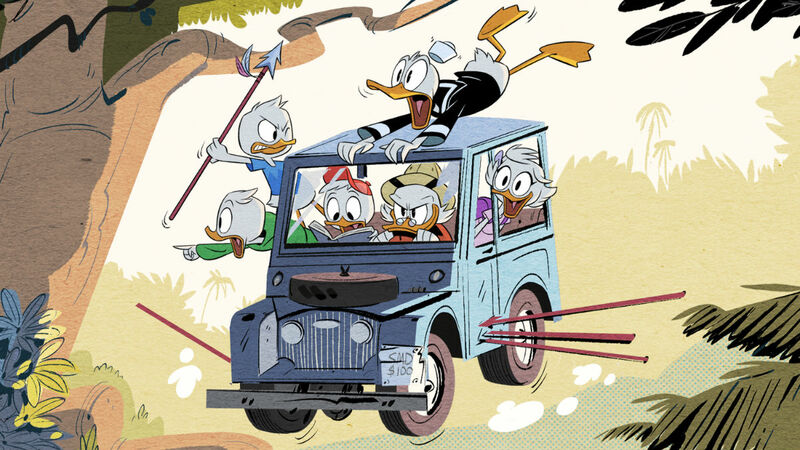 Louie (the green-clothed nephew in all Disney works since “DuckTales”; if wondering, Huey’s in red, Dewey’s in blue) is wearing what looks like a long-sleeved hoodie, though it might just be his arm/the art style. Webby also looks slightly older here than she did in the 80s series. I assume she’ll get to participate more in the adventures? Speaking of participating, yes, Donald’s on board here. I assume Launchpad (back from St. Canard?) and perhaps Gizmoduck will also pop up. Minorities in cartoons: "Transformers: Rescue Bots"